My Beatport DJ chart (May 2012) is available! 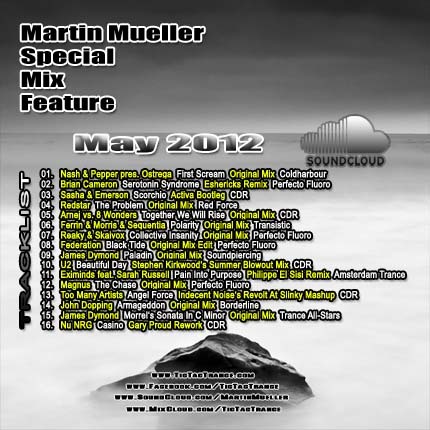 Soundcloud May 2012 Mix available! 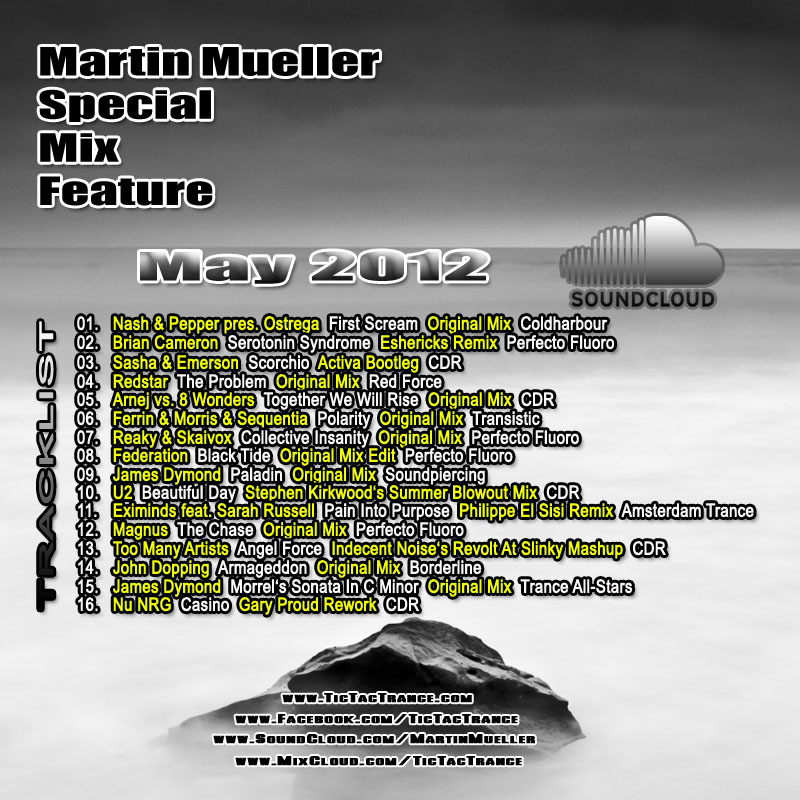 The third one (May 2012) of many monthly, mini-mix series is now available on my SOUNDCLOUD page. This time even more tracks included in just one hour. Enjoy! Lastest preview of my mashup online! A preview of my lastest mashup Aly & Fila feat. Jwaydan vs. 3rd Moon – We Control The Monsun (Martin Mueller Mashup) is now available at my Soundcloud page. Tic Tac Trance #053 Replay available! Problem fixed: Tic Tac Trance #053 didn’t air! I’m really sorry listeners. Tic Tac Trance #053 didn’t air at the right time today. It’s still not online, due to some problems with the radiostation Party107.com. I’m currently trying to get it fixed…keeping you updated. Sorry again! The show is now on air (one hour later than originally planned). It’s almost there! 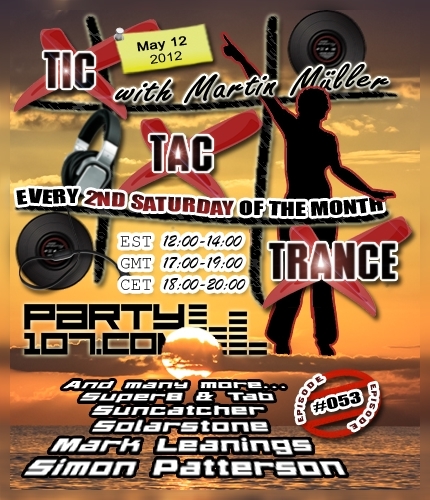 Episode #053 of Tic Tac Trance will be broadcasted on May 12 2012 on Party107 and will feature new tunes of artists like Simon Patterson, Mark Leanings, Solarstone, Suncatcher, Super8 & Tab and many more! This time I’ve prepared a 2 hours mix with my latest favorites in progressive, uplifting and tech trance. Make sure to tune in!